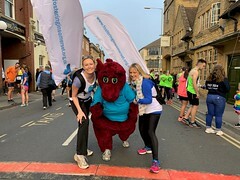 Somerset’s successful Community Connect initiative will be bolstered as the County Council expands its innovative support. The £200,000 investment will be used to recruit more Village Agents so this new way of working can support more vulnerable adults, including Sheltered Housing tenants. Community Connect is well-established across much of the county and enables people to live independently at home for longer. It helps them access support and activities within their community, bringing together community organisations, social care, health, and the voluntary sector. The expanded service will provide support for 450 tenants who currently get help from their Sheltered Housing providers, following the Council’s decision not to renew the £1.2m-a-year support contract with the providers. It will also be available to the other 3,000 or so Sheltered Housing tenants with lower level needs who don’t get support, as well as the much larger number of people who have similar needs but don’t get any help because they own their own homes or live in other types of rented housing. Somerset is one of just six local councils that still fund Sheltered Housing providers to deliver this support. The net £1m saving will be used to help balance the Council’s budget at a time of unprecedented financial pressure. “It’s win-win,” said Councillor David Huxtable, Cabinet Member for Adult Services. “Community Connect has had great success in helping people live independently in creative ways and more people will be able to benefit from this. The kind of support available to people in Sheltered Housing can include assistance with correspondence, paying bills, arranging appointments and help with shopping or meals. Some residents don’t need this support on a regular basis but may benefit from a visit to check to see if any help is needed. Village Agents play a key role in Community Connect, speaking to people to understand their needs and making the community connections. This could mean introductions to support groups, organising adaptations for the home, or providing professional guidance and advice – every case is different. Regular Community Connect drop-in sessions are held around the county and people can be referred to the service by social care or any of the organisations involved. For more information about Community Connect, including details of drop-in sessions, visit www.somerset.gov.uk/dropin or call 0300 123 2224. The current contract for support in Sheltered Housing ends in mid-October.